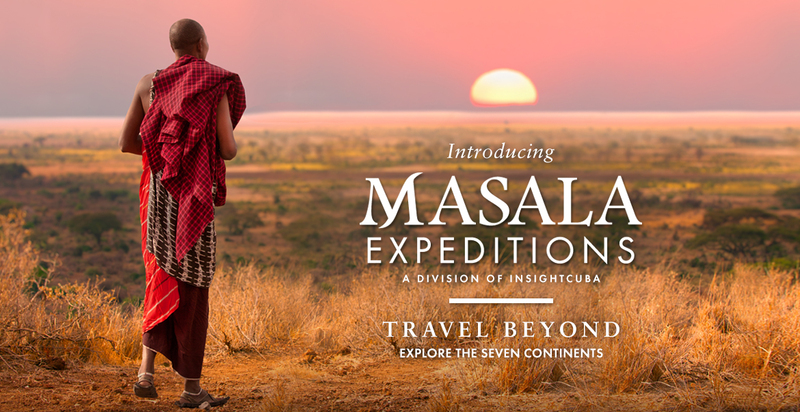 Masala Expeditions, a division of insightCuba, brings you to the world’s most sought after destinations and delivers your most cherished travel experiences. Backed by almost 20 years in the travel industry and an unparalleled reputation, we invite you to travel beyond. Join us on luxury safaris, set sail with us to exhilarating destinations, and get to know exotic cultures on small group tours.